Chicago Cubs fans absolutely cannot wait to see this during the regular season. 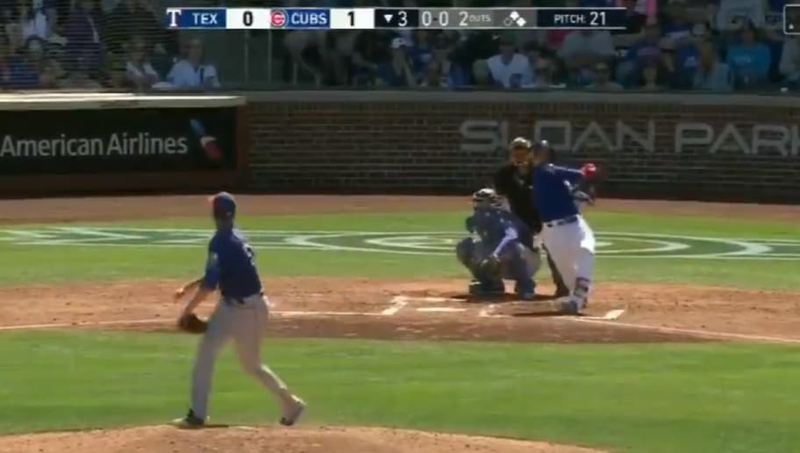 After an MVP-caliber campaign in 2018, Javier Baez is back to crushing bombs, sending a three-run shot out of the park during the team's Spring Training game on Friday. His home run put the Cubs up 4-0 in the bottom of the third inning. Chicago is 15-11 in Spring Training games so far, with Baez playing 15 of those 26 contests. That was his first home run this spring after 39 at-bats in his previous 15 games. Javy Baez's first homer of the spring is a 3-run shot to center here in the 3rd inning. Off Texas righty Connor Sadzeck. Coming into this game, Baez was batting .282 with 11 runs scored, so it's comforting to see some of that power coming around with just a week until Opening Day.